A little OT: Guys, I have detected the next ROCH spoof (I keep telling ppl we're living in the age of Jin Yong derivative works). 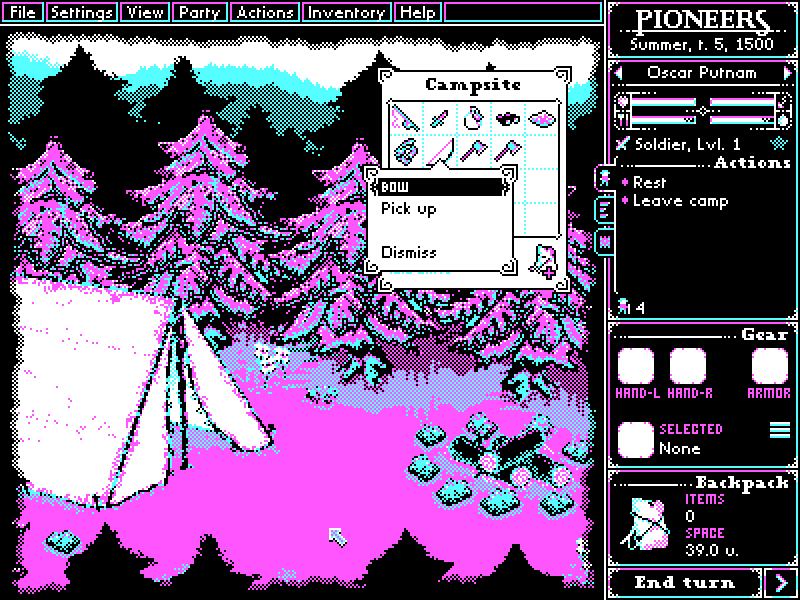 It's about this guy with a huge and heavy sword who gets a God-like master figure to teach him how to wield it. Sounds like YG + the Giant Condor training to use the heavy huge sword by the waterfall doesn't it? Last edited by hirobo2; 01-22-18 at 01:39 PM. Last edited by hirobo2; 01-22-18 at 01:57 PM. And where do you think the book got its ideas from? Remember how they used Michael Miu from LoCH '83 as a tribute to it in LoCH '17? Well, why would FBS feature Carmen Lee (XLN '95) as the boy's mother if it didn't lift the story from RoCH? (And this is her first returning role since stopped acting many years ago, so it's an especially important one). - Most powerful good guy and bad guy are not the young main chars but these old guys that look/resemble GJ and GWM. - "GWM" in FBS has these stooges that are like Huodu (is a Prince) and Da'Erba (fights with staff/spear instead of iron irod that can trace shapes in the ground). - There are these other girls in FBS (who have a crush on the boy) like the twin cousins that LiMochou kidnapped. - Instead of eating the black galls of a giant snake, he eats this substance found in the head of a leopard monster. - There is a scene where he fights a giant flying snake (Giant Condor vs gigantic snake). - He gets bullied at the beginning of the show like how YG was. - There is a pervert in FBS that gets killed by the XLN-like char (Xiao Xun), just like in RoCH. 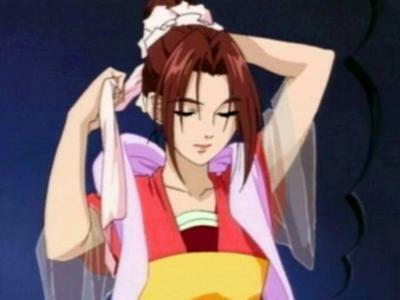 - Xiao Yan is engaged to marry this Guo Fu-like char and gets attacked by her sword in a quarrel just like in RoCH. - Xiao Xun (XLN) wants to find the key to some kind of tomb (she wants back in inside RoCH's Tomb of the Living Dead). Last edited by hirobo2; 01-27-18 at 07:10 PM. 1- The heavy sword although it’s heavy but it isn’t big, only a little longer than the wooden sword that lies next to it. 2- The condor can’t fly. You can detect anyone who did read the novel or only watching tv series by asking these 2 questions. Since they are having young Zhang San Feng in this, I was thinking perhaps they would have Ashton Chen be young Zhang San Feng? Unlike most others, Ashton Chen pretty much know a lot about shaolin monk kung fu arts and he's the childhood favorite shaolin movie and TV shows. I wonder how he would be as a young Zhang San Feng in this show? Anyways, it seems Fights Break Sphere is really thorough in spoofing RoCH. At the beginning Xiao Yan is engaged to marry this Guo Fu-like char (oath made in LoCH) with the added twist she wants to now break the engagement as well. And who was there with Xiao Yan thru it all just like GJ's intention to declare marriage of YG to GF in RoCH at the Heroes' meeting? Xiao Xun (FBS's XLN)! Last edited by hirobo2; 01-27-18 at 07:11 PM. There are some inspirations here and there, they only need to make sure it isn't too obvious. I'm just surprised they decide to make another adaptation only after 4 years. I also don't think the 2014 version too bad, they learned or you can say straight out copy a lot from 95 version and the 2014 version is one of the complete one compared with some other versions. 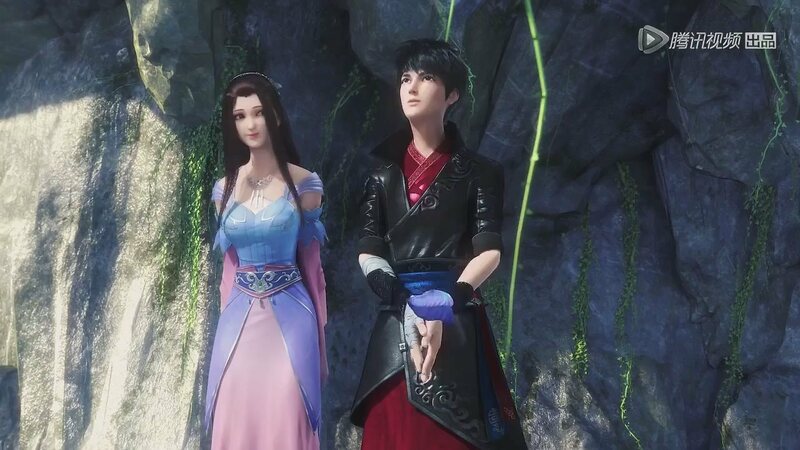 Since they are having young Zhang San Feng in this, I was thinking perhaps they would have Ashton Chen be young Zhang San Feng? Unlike most others, Ashton Chen pretty much know a lot about shaolin monk kung fu arts and he's the childhood favorite shaolin movie and TV shows. I wonder how he would be as a young Zhang San Feng in this show? Actually in ROCH, Zhang San Feng doesn't know anything about Shaolin kung fu, he only learns some basics from the toy Xiang Guo gave to him and thanks to it (learning without permission) he is expelled from Shaolin. Last edited by ihavequestion; 01-24-18 at 12:21 AM. Yeah. I wonder why they keep making remakes. Don't they know that there are more wuxia novels out there that still haven't make into serials? The only way I can see this as being remotely interesting or worthwhile is if they put the focus on Gwok Seung and Cheung Gwun Bo (which it looks like they just might do) and only use Yeung Gor and Little Dragon Girl as background/secondary characters to frame the story (sort of like the role that Gwok Jing and Wong Yung played in the traditional telling of ROCH). Otherwise, we really have covered this ground way too often already. 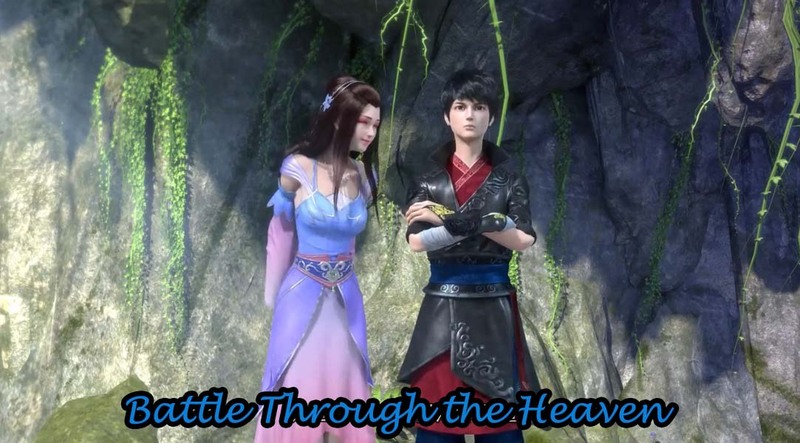 My thoughts on Battle Through the Heavens (aka Fights Break Sphere) anime version: When I first started watching the CGI cartoon version, I thought that a bazillion episodes were already made and that I was behind. Well, it turns out that only Season 1 was ever made (12x24 min episodes) and that Season 2 won't release until April, 2018. Anyways, I kid you not that FBS is a modern spoof of RoCH. It seems Xiao Xun is dressed in light blue + light pink to resemble XLN from RoCH anime. Last edited by hirobo2; 01-27-18 at 06:57 PM. What I meant to say about Chen Xiao Long being Zhang San Feng is that since he already know a lot about ShaoLin Kung Fu, the film directors won't have to get anymore ShaoLin or Kung Fu experts to give advices on those fighting scenes because Ashton Chen could just be giving those expert advice. I mean with so many years of him making Kung Fu movies and TV shows, he's probably an expert by now. I was just wondering about the role of Guo Xiang, perhaps Jiang YiYi could play her? She was playing as young Guo Fu in the 2014 version. And by now her age is probably the same as Guo Xiang age when she met Yang Guo. 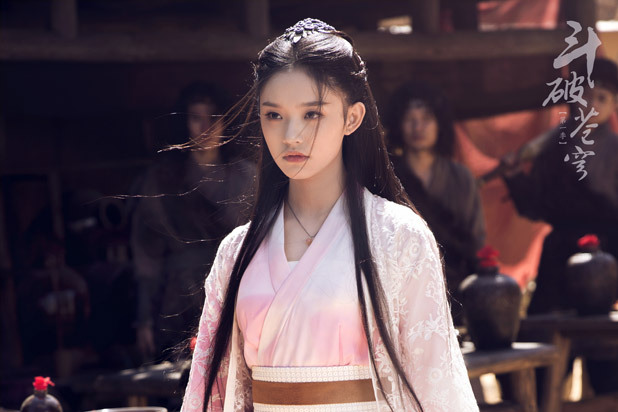 Perhaps in future version of Condor Heroes, Jiang YiYi could also play as young Huang Rong? This would make Jiang YiYi even more special with being the actress that played as Guo Fu, Guo Xiang, and Huang Rong. I sure hope the film directors consider this. 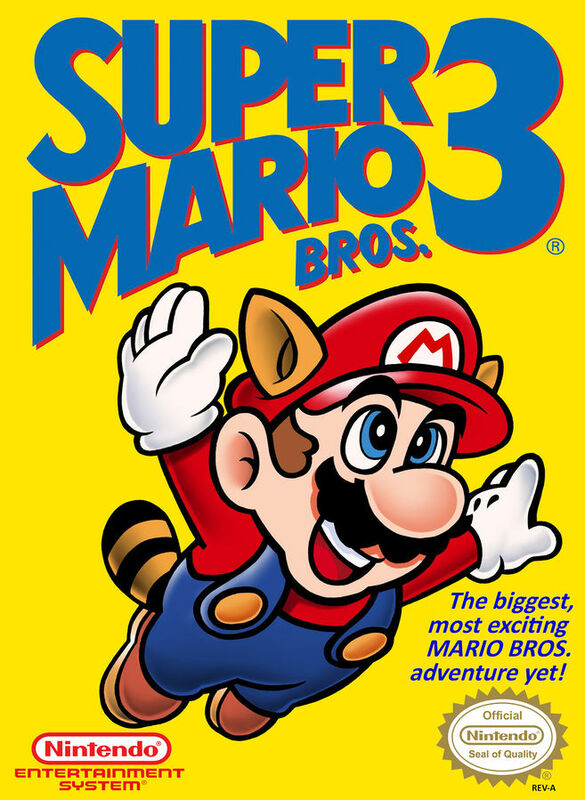 Simply the best game in the SMB1-3 series! Last edited by hirobo2; 01-27-18 at 02:13 AM. IMO, cyan, pink, and white belong in the same color group, so they are all valid dress colors for XLN. Last edited by hirobo2; 01-27-18 at 08:08 PM. Anyone know if this is a reliable news? 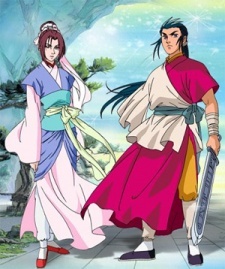 Hey guys, anyone watched The Thousand Faces of Dunjia? - There is a bad guy that fights with a thousand flying wheels. - MC lost not only his arm but also his leg. - Seems to me like TTFoD is just practicing grounds for Hark's much more ambitious RoCH 3-D movies, like he's "test screening" some stuff so he could (re-)do them even better in RoCH. Three Lives Three Worlds: Spoofs the romance aspect between much older woman and younger guy. Fights Breaks Sphere: Spoofs the fighting aspect of RoCH (where YG levels up from being a nobody/bullied to near God-level) <-- I likes this kind of spoof more! Lol, I'm hearing GuliNaza receiving a lot of flak from (anti-) fans whereas DiliReba receiving all the praise. So, no way GuliNaza was cast as movie XLN!